Usually the cold winter months are garden planning time, because gardens are covered in snow and gardeners need something to do while they wait for spring. But if you’re just starting a garden, it’s really worth it to tour around in fall to ensure you factor all the seasons into your planning. It’s easy to get star struck by the variety and colour of spring and summer flowers, but fall has a special magic too. 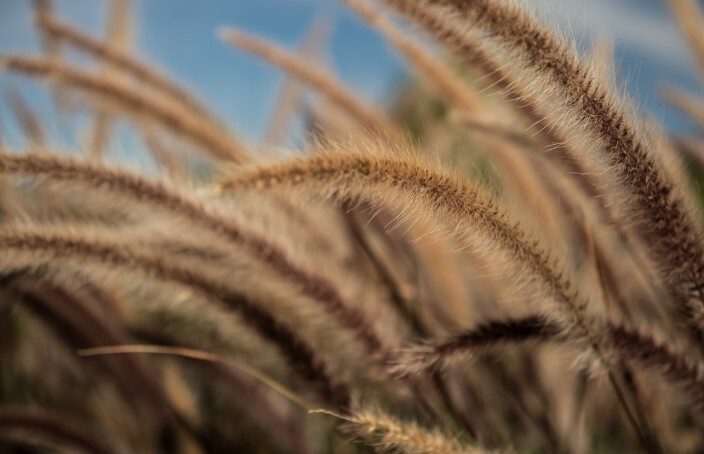 Fall brings new colours, sounds and textures to life, as grasses mature and leaves fall from trees. To ensure your garden always has life and colour, no matter the season, here are some resources you can check out for inspiration. A display of mostly Miscanthus grasses at Artistic Landscapes. These varieties get big when they mature, but most stay in orderly clumps, and don’t take over your garden. Don’t be afraid to just window shop at your local garden centre, but make sure you go beyond your local big box store. Try and find one that has plantings that serve as “floor models”. This is especially important with grasses, where the differences from cultivar to cultivar can be subtle. 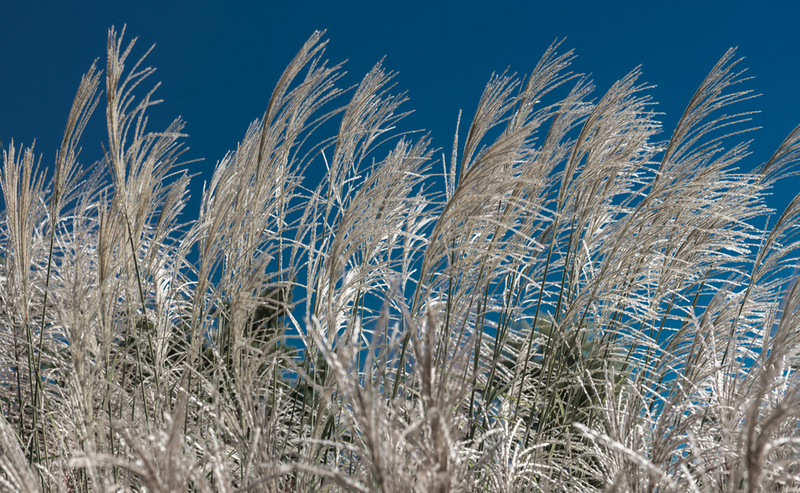 Plumes on a Miscanthus, which makes a beautiful rustling sound in the wind. Birds love the seeds as well. 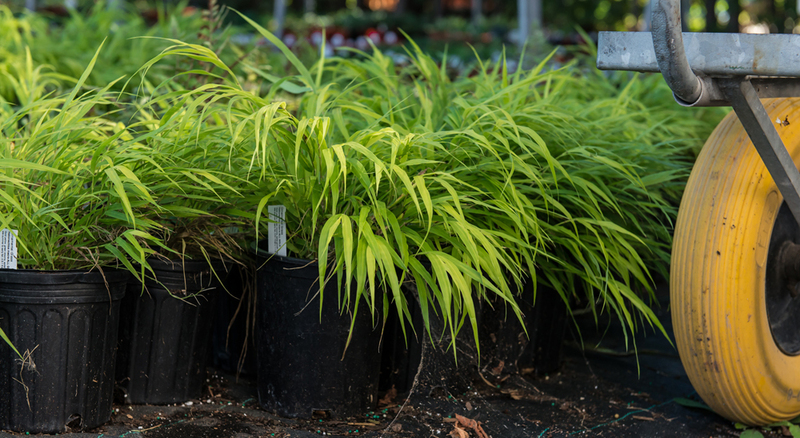 Japanese sedge grasses are mostly shade lovers. There are plenty of flowers that bloom in the fall if you live for a fresh display of blooms year round. Many clematis vines bloom in autumn. Some have wonderful seed displays. Don’t forget to check out different fruit trees, especially if you’re an apple lover. If you’re willing to do the work (fruit trees can be messy and require careful thought about what kinds of pest control you’re willing to do) your reward can be fresh fruit from your own tree, and beautiful flowers in spring as well. 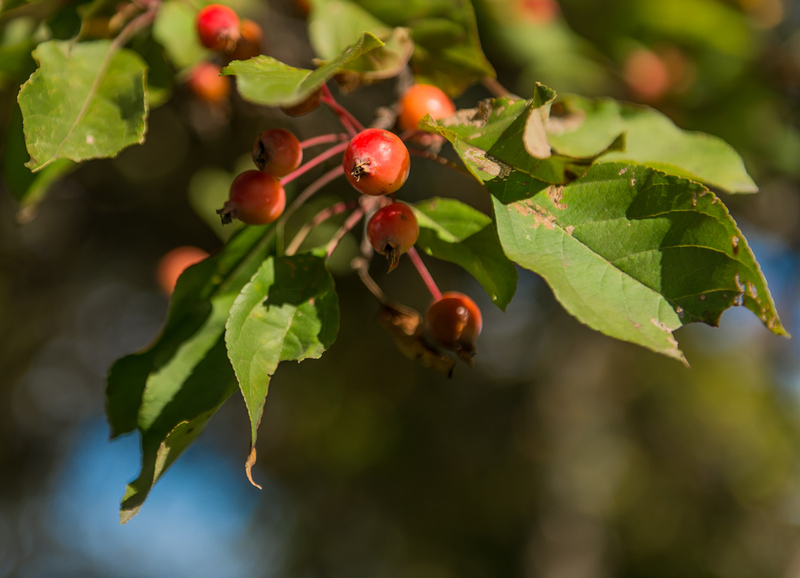 Smaller fruit trees and berry bushes are also great if you’re trying to attract birds to your yard. Crab apple at the Experimental Farm, Ottawa. Most cities have public gardens where expert gardeners have been tending and updating the plantings for decades or even centuries. It’s a great way to find out about plants that do well in your area, and find out how big different tree species can really get. 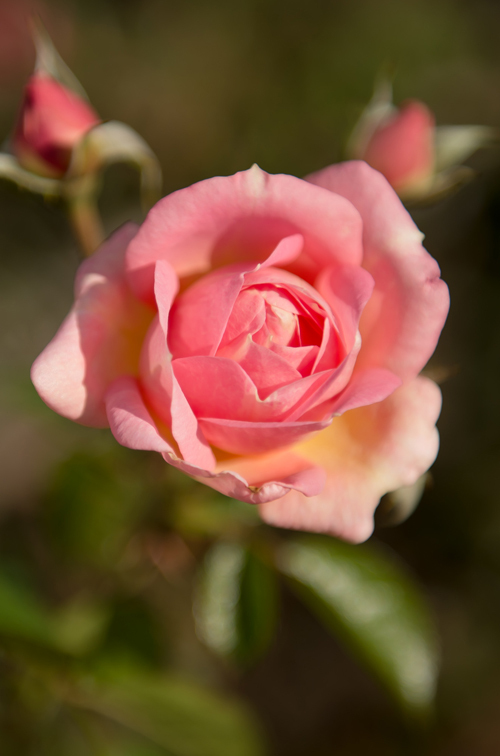 Many roses last well into fall even in Ottawa, like this Explorer Rose, “Champlain”. It never hurts to walk around areas where homes are older and the landscaping has had time to mature. What I do occasionally is visit wealthy neighbourhoods and just go for a walk. When houses are larger and older, homeowners often make serious investments in their landscaping. Even if you can’t afford what they’ve done, there are always ideas you can borrow and adapt for your own situation. Think of it as “training your eye”. Just seeing different combinations of colours, shapes and textures can help you find solutions to your own design problems. If the homeowner does their own gardening, they’re often happy to talk to passersby who likes what they’ve done. Gardening is incredibly creative, and any artist loves a compliment. Some cities organize fall garden tours that can be a great way to get access to private backyard gardens and meet some other gardeners while you’re at it. You don’t have to spend a lot of money on books – there are plenty of great ones waiting for you at your local library. Most libraries these days have online search and reservation tools. If you find one you love, you can buy a copy. The great thing about books is that they go into much more detail than most blog posts. You’ll get great advice on plant care and better info on potential pitfalls to avoid. The problem with just going online is that it doesn’t always tell you what will work in your area. Here in Ottawa, we need plants that can deal with long cold winters without too much babying. Sadly, some of the most beautiful plants you’ll see on US blogs just won’t survive here. The same thing goes for books of course! There’s nothing like getting out and exploring gardens in your area to help get inspiration, and to just plain enjoy the season!